Montrose Glass are the professional, reliable and cost-effective fast response glazing specialists for your glass and glazing needs – 24 hours a day, 365 days a year. We are a family-run business that is big enough to cope and small enough to care. 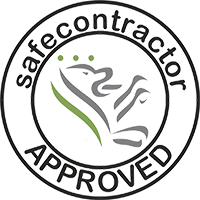 Looking for double glazing repairs East London can be proud of? Or a glazier West London can depend on? You’re in the right place! We offer safe, reliable commercial and domestic glazing repairs to all types of windows and doors. We’re also experts at cat flap installation, and can help with skylights and roof glazing as well as mirrors, table tops and shelving. Please view our services pages to learn more about what we do – we’re sure you’ll find the solution you’re looking for. And don’t forget we never close, and we never charge a call-out fee! The team at Montrose Glass has more than 20 years’ experience working in domestic, commercial and industrial glazing. We are proud members of the Guild of Master Craftsmen and we emphasise the delivery of a quality, cost-effective service for every single customer. Our emergency glazing service always delivers a quality solution on the same day, with glass cut on site, and all work fully guaranteed for your peace of mind. Looking for glaziers in West Midlands? We have you covered! We have coverage all over the nation and only advertise in locations where our glaziers can respond to your needs within our guaranteed 30-90 minute emergency response window. 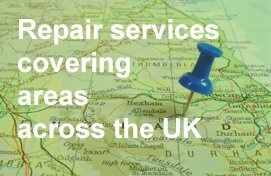 We are committed to delivering our service nationwide and always ensuring a fast response and same-day service so you are left without anything to worry about. Whether it’s a small broken window or a large shopfront, Montrose Glass are available to help 24 hours a day, 365 days a year. No job is too small, and no customer is not important – we are the emergency glaziers London businesses and residents can depend on. Montrose Glass provides a wide range of services relating to glazing and boarding. We are confident you’ll find the service you need amongst our list of specialities. In the unlikely event you require a service that you do not see listed on our website, please contact our team and we will see what we can do to help. When you call Montrose Glass, you will speak to a member of our small team of industry experts. There will always be someone available who can answer your query and refer you to the appropriate service, with first class work right through to job completion. We keep on top of all the latest techniques and innovations, and all our solutions are state-of-the-art.